Sat 07 Dec 2013: You snooze you lose, Daddy! 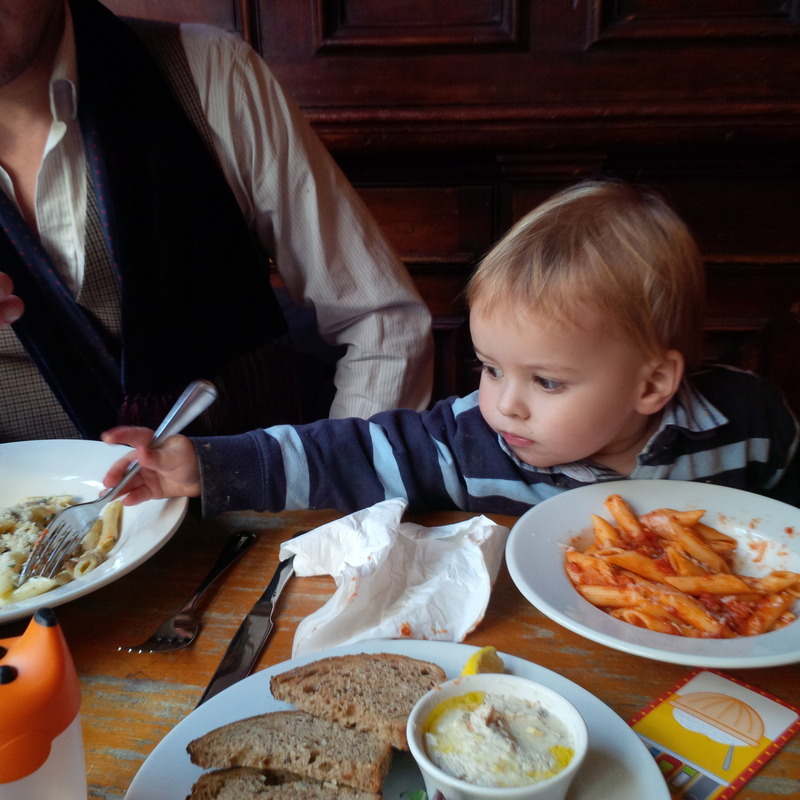 My Dad ordered us both pasta for lunch in the pub in Crouch End. As you can see, his looked way better than mine. Next Thurs 12 Dec 2013: Leafpile!